Our We Buy Cars Swooper Feather Flag features a dark blue field sandwiched between two red fields. The top section has the word "We" printed in bold letters, the middle section has the word "Buy" printed in big yellow letters and the bottom section has the word "Cars" printed in large white letters. 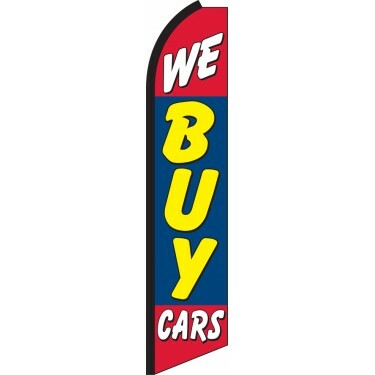 This flag ideal for any used car dealership that wishes to advertise the fact that it is keen to purchase used cars from clients. The flag can be displayed in an array of different locations including directly in front of the showroom, along the roadside, at trade shows, and much more. 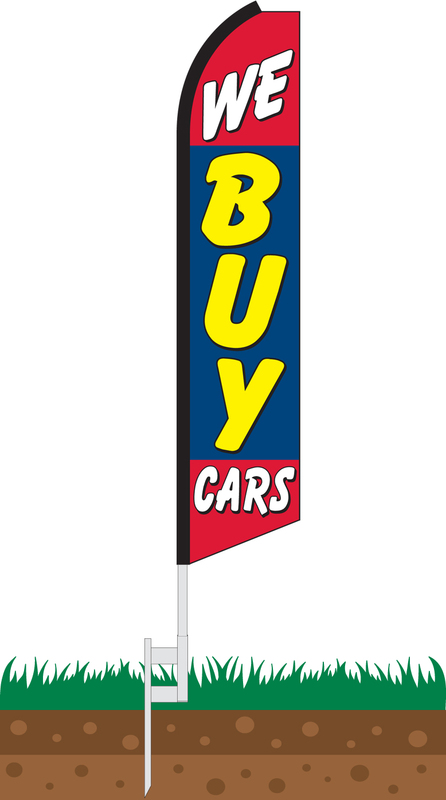 If your car dealership is looking to attract individuals who are selling their car, this is the perfect flag for you.